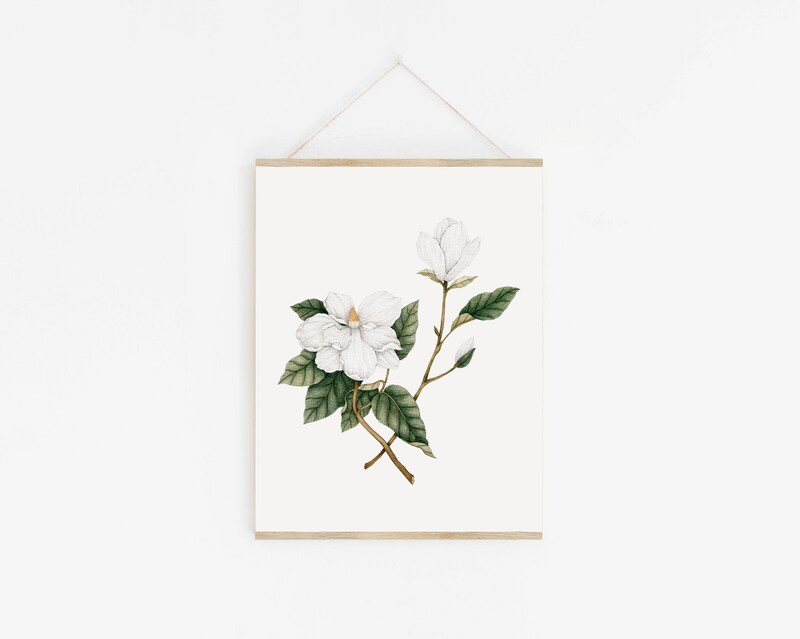 Botanical illustration - Magnolia flower. Art print ready to frame, ideal for home decor or gift giving. Perfect for a birthday, mother's day, wedding, Valentine, a baby shower, etc. Print of an original watercolor illustration. Each print is printed with high quality pigment inks, retaining all the details and rich colors of the original. Printed on fine art paper 100% cotton 188 g/m². Available in 5 x 7 inches, 8 x 10 and 11 x 14 in. Feel free to contact me for a custom size. Shipping: prints are packaged with care. If you are in Quebec, can pick your purchase directly in the shop. Contact me before purchase for free shipping coupon code. My artwork may not be reproduced, modified or distributed without my permission.